SilverStar™ SSX a sleek rigid screen with an ultra slim frame formulated from Vutec's award winning patented SilverStar technology. Delivering the ultimate in picture quality, vivid colors, high contrast, and a wide viewing area. SilverStar™ SSX gives the perception of a modern appearance for today's theater enthusiast. 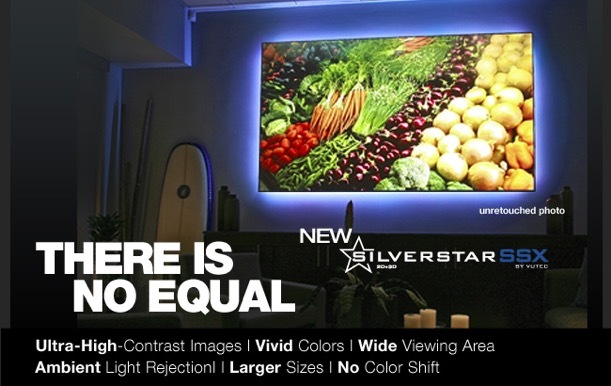 By setting the industry standard and maximizing the projected image, SilverStar SSX is offered in all screen.